In the past month I haven’t been ingame much. I love the world, it’s still great. Love the people. But the game itself… meh.. Zunday is level 98 now, and I so dislike questing in the high levels. I don’t think she will be 105 soon (if ever). 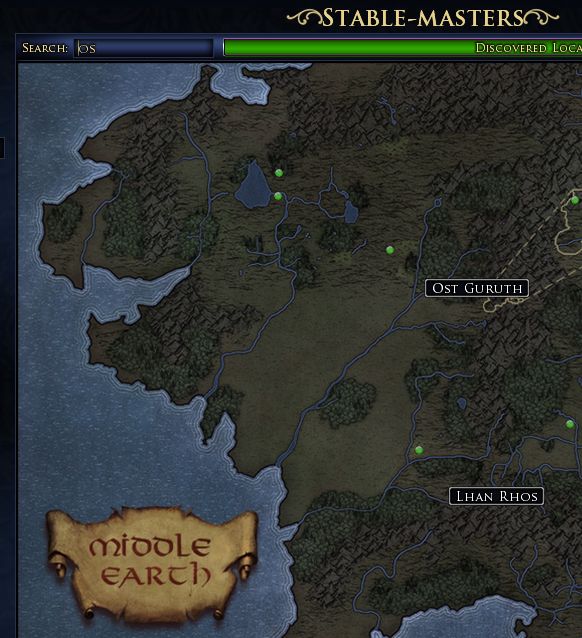 The quests are all about fighting, just a few ‘human interest’ quests. I did dailies just to level up my LI legacies … but for what? I became 105 with a lesser weapon. Also, friends are leaving the game. 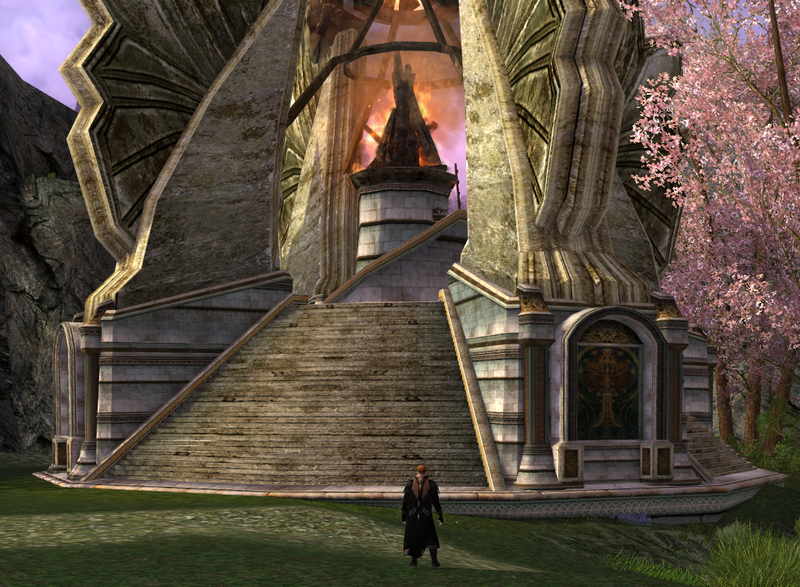 And for me the social aspect of LotRO is the most important factor. So… I don’t know. Maybe I will be back. I will be ingame from time to time to pay upkeep. And who knows what will happen. Another thing I love doing is making and editing videos. And for that I will get online too. To shoot footage. 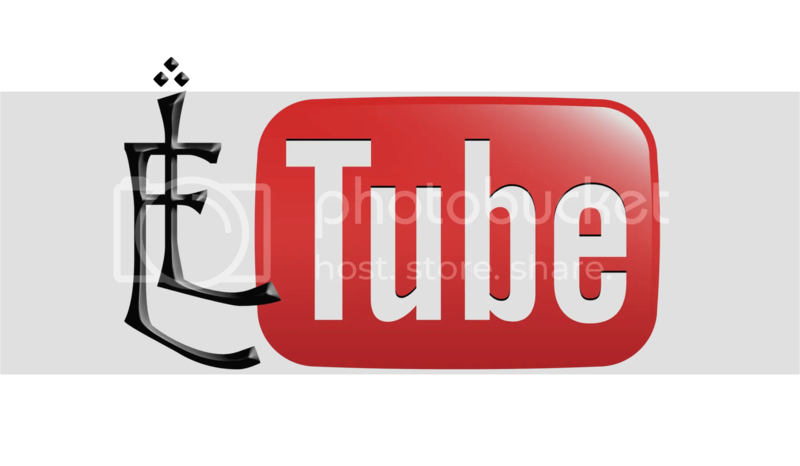 The last video I did was few days ago. Together with Irissina. I will miss the little fellow. Sometimes (often) annoying, a coward, lazy, but with a heart of gold. Thanks Bingo, for a fun quest! 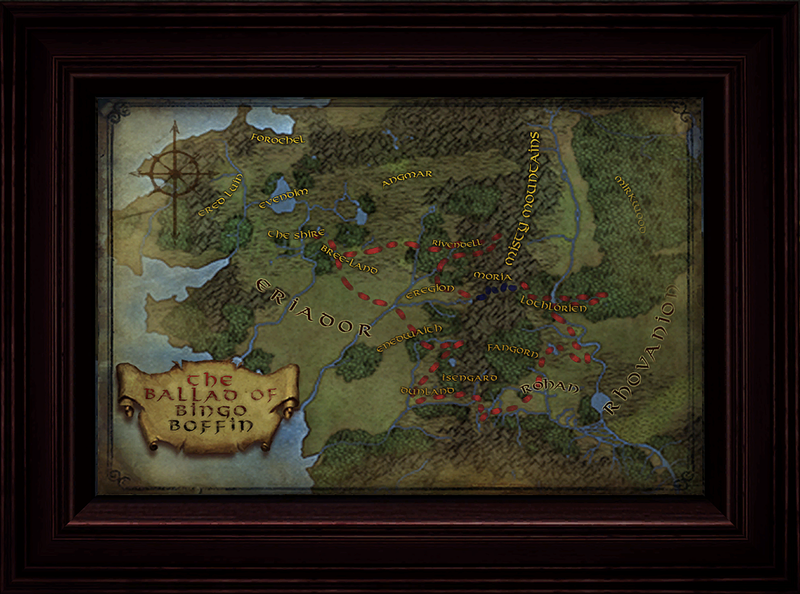 I don’t know if there are more Earth constellations in Middle-earthian skies, but I always love to see the Big Dipper in Middle-earth. No, not Monty Python, but something completely different. Sabine, a Dutch girl, has known since the 29th of April 2016 that she has a brain tumor. She comes from my town, my girlfriend knows her parents. 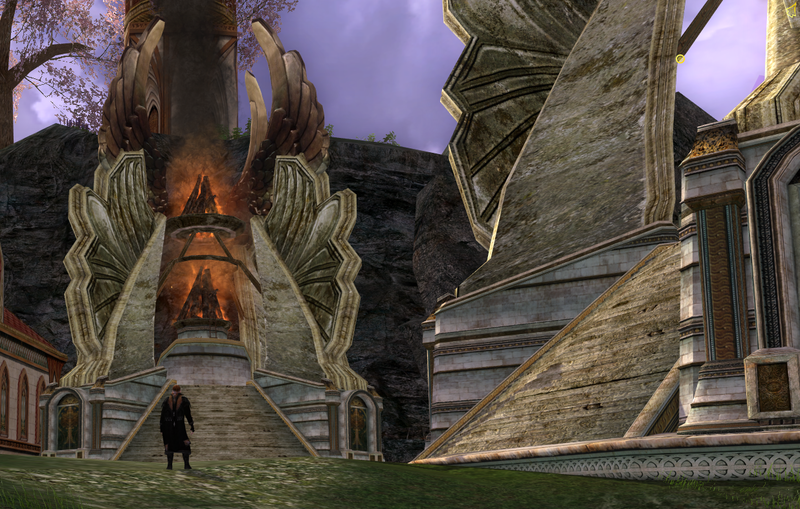 These screenshots are from Bullroarer (Raebidus), and Evernight (Zunday). A promising feature in the Update 18.2 Beta is the addition of the Stable-masters to Collections. It’s still in Beta, and it doesn’t work properly yet, but from what I see it’s a very nice feature. After opening Collections (Shift-C), click the Stable-masters tab. 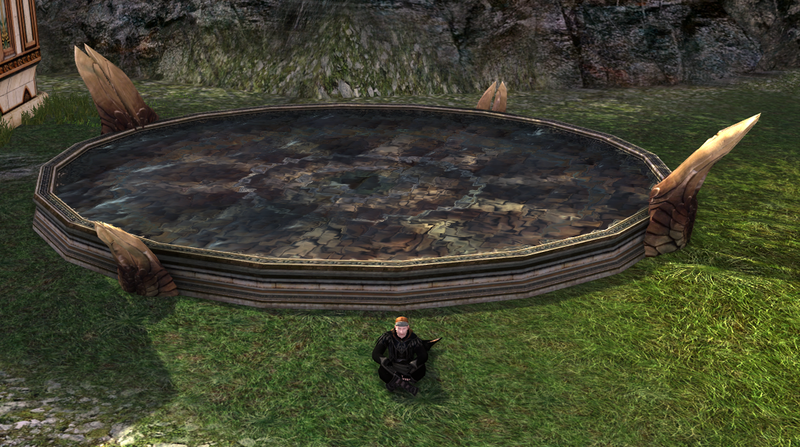 It’s pictured by… a cat… Guess that will be a mount when the update goes live, but this is LotRO, you never know. 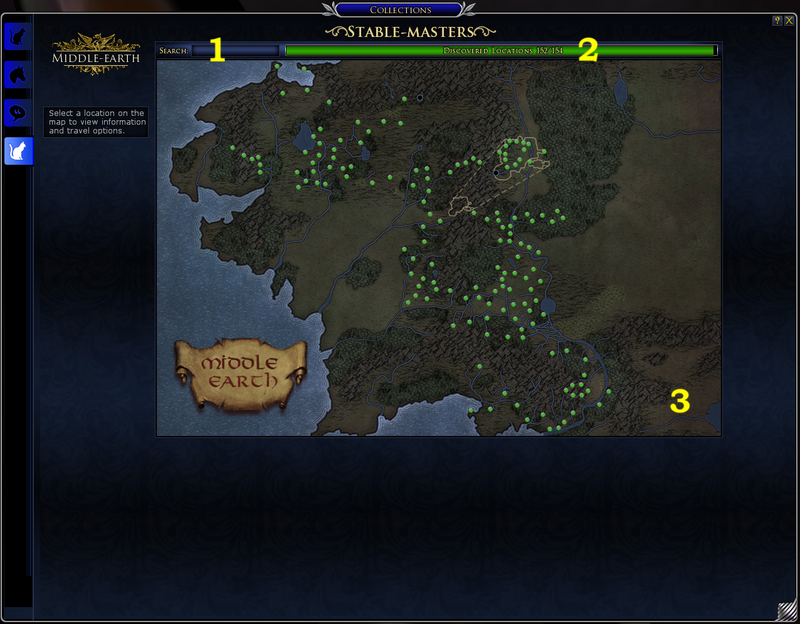 On the tab you will see a map with all stables (3). 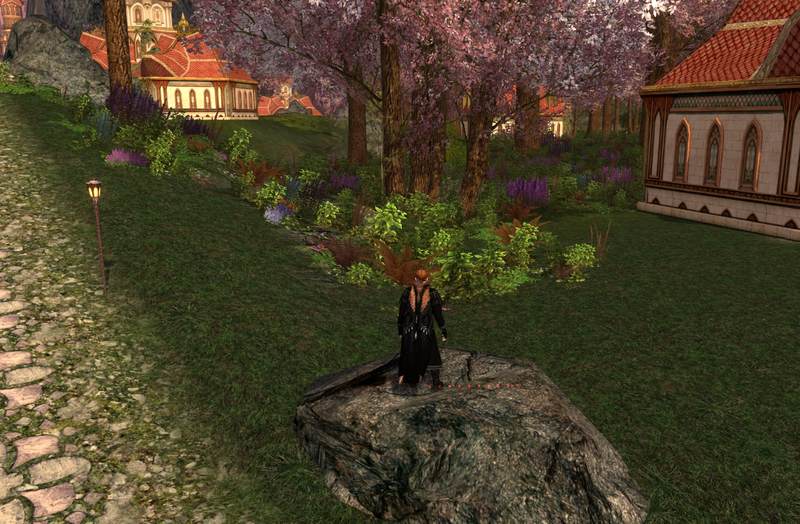 Green (or yellow, help me oh editor, for I am colorblind) for the discovered stables, and black for the undiscovered. Handy, I found out there are two stables I am still missing, I thought I had all. You can see how many locations you have discovered in the bar on top (2). 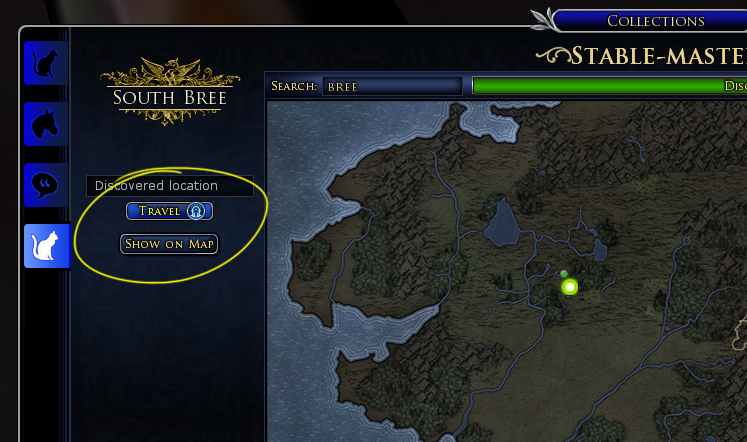 You can search for stables by entering (part of) the name in the search box (1). Only the stables that fit the discription will stay visible. When you hover over a dot, the name will show up, and when you click the dot it will highlight. On the left you then see the name, whether you discovered the stable or not, a botton to travel, and a button to show the stable on the map. These buttons don’t work in Beta yet. The travel must be paid with mithril coins. I hope this will change, but I think it won’t. A boy can dream though. You can also type part of the name in the search box. All stables with the typed part in their name will show up. For example, type ‘os‘ and Ost Guruth will show up, but also Lhan Rhos. All in all, like I said, it looks promising. 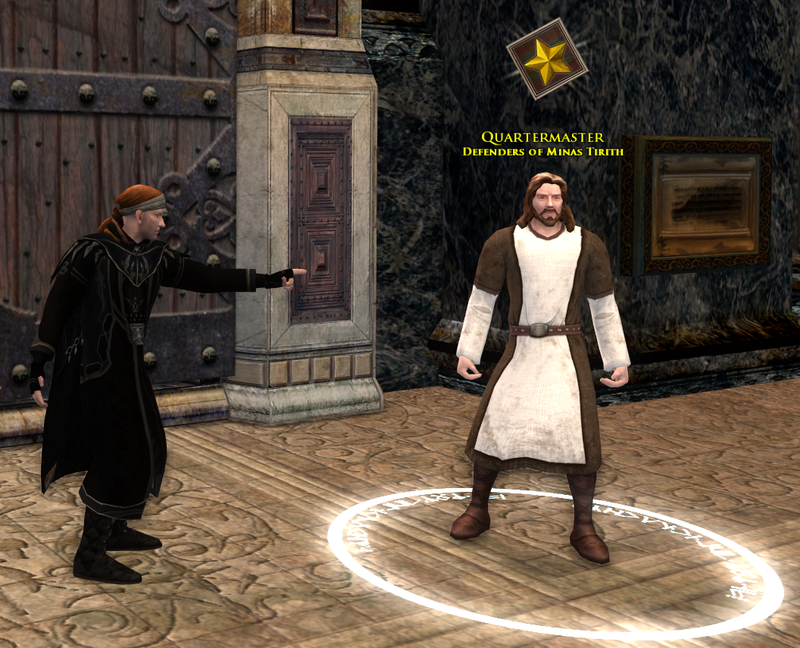 Today on the Bullroarer beta test server I visited the Quartermaster of the Defenders of Minas Tirith. 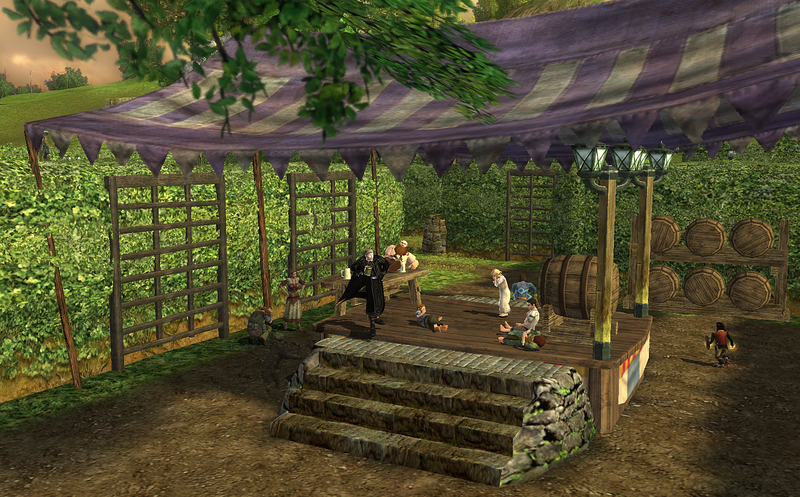 To the right of the Stable-master in Minas Tirith (65.9s 16.8w). 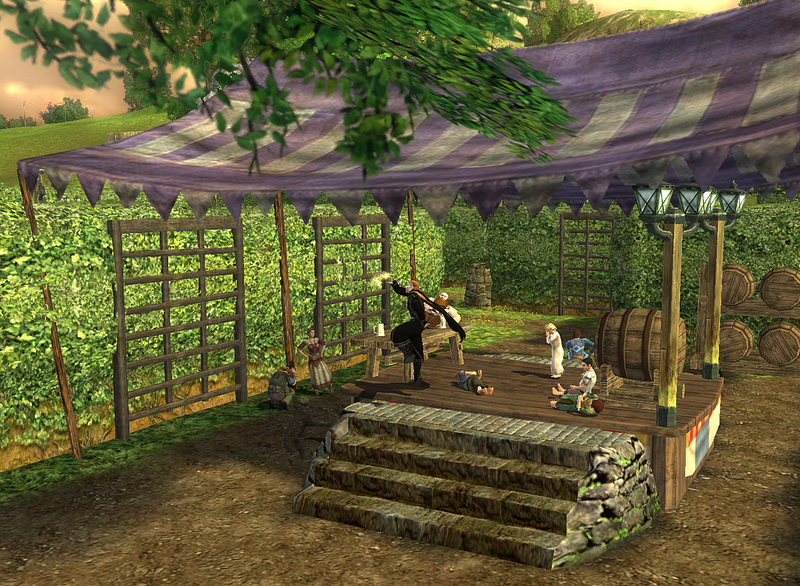 As of Update 18.2 (if all goes right) he will barter some pretty nice yard decorations for kinship houses. Small on the left, full size one on the right. It’s not perspective, they are right next to each other. 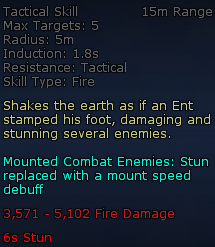 The Lore-master has a great skill called Ents go to War. 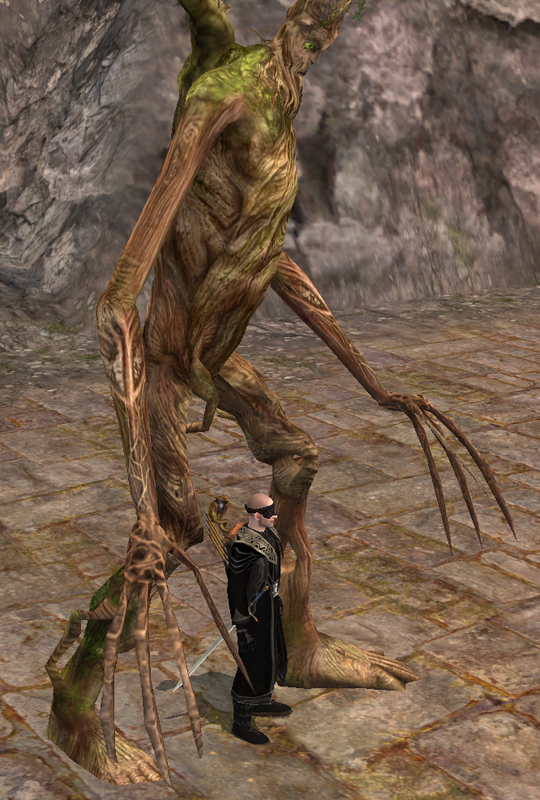 Not the best attack, but visually it’s great: an Ent stamping on an enemy. You gotta love it. For the past few years however (yes years…) I don’t use it too much, because very often the Ent doesn’t do his trick, but just stands there, hovering over you. Submitting a ticket doesn’t work, no reaction whatsoever. Maybe because Turbine just doesn’t do anything to fix it. (Sorry, I promised, but again, Turbine-bashing). On the forum there has been said enough about this very annoying bug, but after years it’s still there. 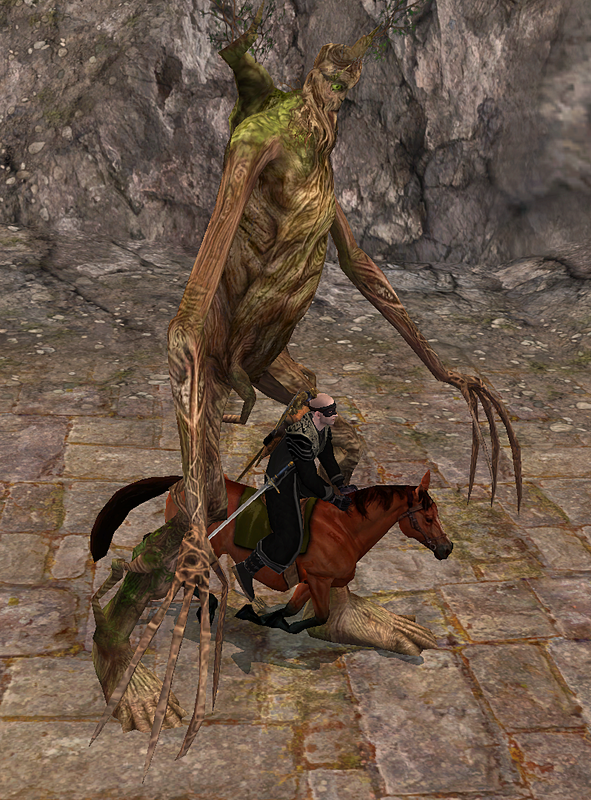 Ah well, I made some nice screenshots, even mounted the Ents stays. Enter your email to follow this blog and get notifications by email.